Lahti Aqua Oy is a City-owned water company, providing drinking water and wastewater services. It carefully monitors the quality of drinking water and is piloting solutions to generate energy from wastewater treatment. Lahti has a constantly widened, separate sewage system and 73 km of wastewater pipes. Of the pipes used, 99% are connected to the municipal network and subject to water metering. Lahti’s sustainable drainage systems reduce nutrient loads efficiently. The water supply system is effective and only about 5% of water is lost in the pipelines. This is an excellent result, compared to the 20% loss rate in Finland overall. Waste water first treated at wastewater plants is then directed to Nikula UV disinfection facility. There, wastewater is disinfected before being released into natural bodies of water. Hygienisation has significantly decreased bacterial loading of the Porvoonjoki River. The disinfection facility is the largest in Finland and in order to increase the efficiency of the biological treatment, Lahti Aqua has been upgrading aeration basins with new compressors, upgraded aerators, and improved compartmentalisation and operation of basins. Since 2015, wastewater hygienisation performed by Lahti Aqua has significantly decreased the bacterial loading of the Porvoonjoki River. After treatment, water is directed into bodies of water, with the Porvoonjoki River the biggest reserve. If necessary, sand filters are used for the treatment process. Local sludge is dried in a centrifuge after anaerobic digestion and gasification. The dried sludge is composted together with biowaste at LABIO’s biogas production and refining plant, which is partially owned by Lahti Aqua Oy. As a result, raw biogas is delivered through natural pipes for traffic use, as well as being led to a natural gas pipe for gas-powered cars. The residue from the process is composted and the end product is used as a raw material to create soil or fertilisers. The resulting compost is of high quality and suitable for agriculture and gardening. Lahti Aqua has now 35 gas-operated cars for its personnel. 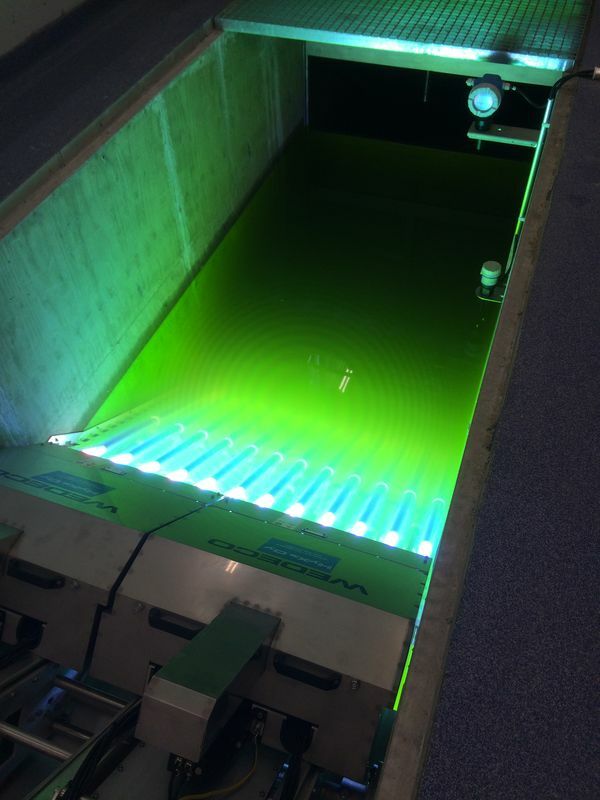 Waste water first treated at wastewater plants is then directed to Lahti Aqua´s Nikula UV disinfection facility.